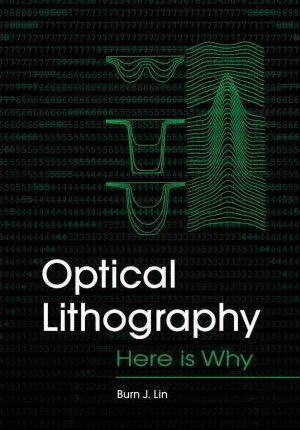 Description: This book is aimed at new and experienced engineers, technology managers, and senior technicians who want to enrich their understanding of the image formation physics of a lithographic system. Readers will gain knowledge of the basic equations and constants that drive optical lithography, learn the basics of exposure systems and image formation, and come away with a full understanding of system components, processing, and optimization. Readers will also get a primer on the outlook of optical lithography and the many next-generation technologies that may greatly enhance semiconductor manufacturing in the near future. Topics covered in this title include: Exposure Systems; Image Formation; The Meter of Lithography; Components in Optical Lithography; Processing and Optimization; Immersion Lithography; and, Outlook for optical lithography. Burn Lin is editor-in-chief of the ""Journal of Micro/Nanolithography"", MEMS, and MOEMS, past chair of the ""SPIE Advanced Lithography"" symposium, author of two book chapters and over 75 articles, and holder of 37 U.S. patents.